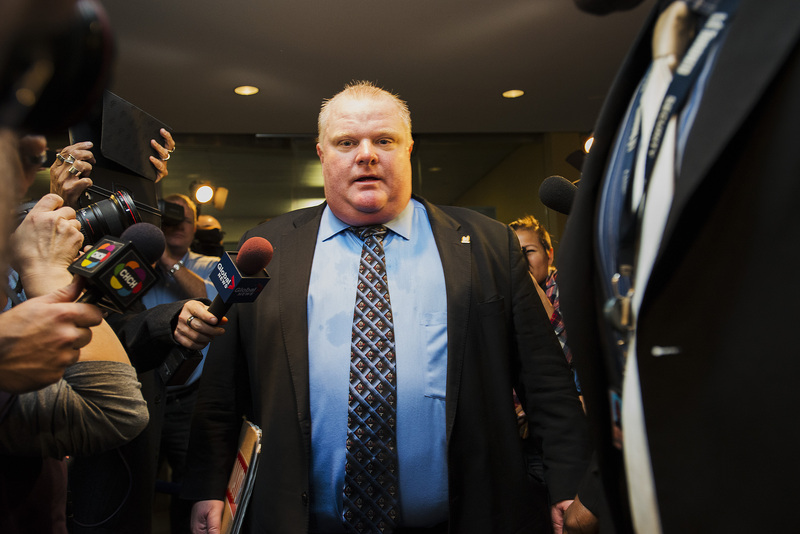 In a disastrous interview with Canada's CBC News on Wednesday, Toronto mayor Rob Ford finally admitted he's smoking crack in an infamous screengrab from a video that was widely publicized just before Ford left Toronto for treatment. Ford, who is fresh out of rehab and back in the city, also admitted to abusing lots of other drugs as well as alcohol in the interview. It was a disease that I've struggled with for years. That's why I went to rehab. I had a substance abuse problem. (When it comes to drugs) you name it, I pretty well covered it. And I was in denial. I convinced myself I didn't have a problem. ... I had a severe problem. A severe, severe problem. ... I hurt a lot of people lying, conniving, hiding to cover up for this problem. Once backlash against the CBC News interview started gaining steam online, Ford canceled an interview with The Toronto Sun scheduled for Thursday, according to a Sun reporter on Twitter. The video — and screengrabs — were not the only evidence of Ford's habit to emerge. Ford was first accused of smoking crack when a Gawker reporter saw the video and reported on it in 2013. When the screengrabs from the second video were released about a year later, Ford promptly headed to rehab. He had previously admitted using drugs, but not explicitly said he was smoking crack in the video. It is what it looks like. That's why I went to rehab. I had a disease for a number of years. I was ruining my life, my health was in jeopardy, my job as mayor was very hard to do. I do not use crack cocaine. Nor am I an addict of crack cocaine. ... It is most unfortunate, very unfortunate, that my colleagues and the great people of this city have been exposed to the fact that I have been judged by the media without any evidence. During the interview, Ford also admitted drinking at City Hall, but said he hadn't done other drugs at work. Whew, I guess? Ford also seemed like he's genuinely trying to grapple with his substance abuse problems. But that doesn't explain why he's running for mayor of Toronto again in October. Especially when you keep in mind that whole crack thing, and the homophobic thing, and the racist thing, and the public urination thing.